A selection of our wallets and purses. 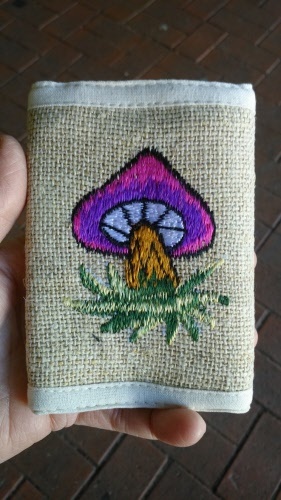 Some made from hemp and some from recycled silk. A great design wallet, with a beautiful embroidered mushroom on the front. All natural product made from cotton and hemp. Has velcro fastener and zippers to close compartments. Click photo to see wallet open in another image. 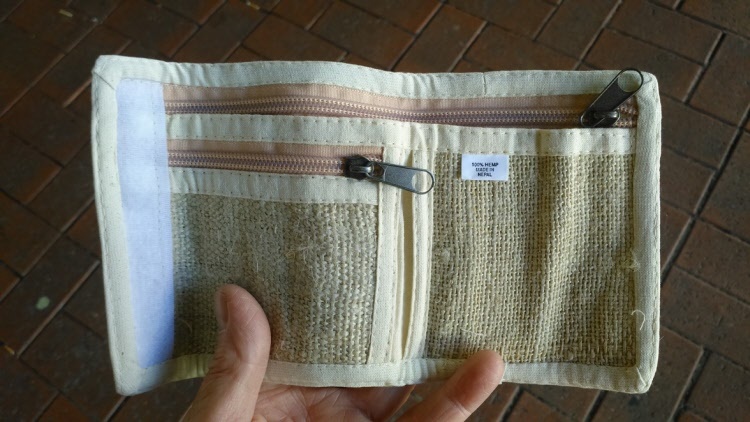 Carry all your cash and credit or business cards in this fashionalble Hemp wallet. 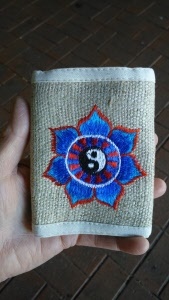 Has Yin Yang design as pictured, click on the photo to see what's inside. 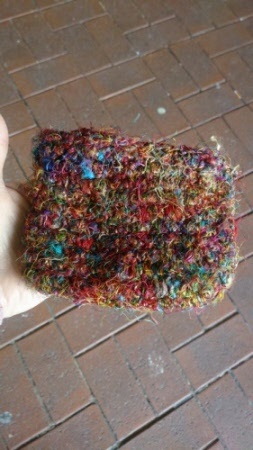 Measures: 13 cms high x 9cms wide (when closed) 22.5 cms when wallet is opened. Yin Yang symbol in a vibrant coloured lotus flower. 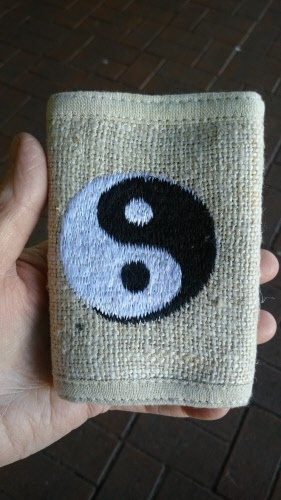 All natural product made from Hemp. Click on photo to see wallet opened. Plenty of room to carry your credit cards, business cards and cash. 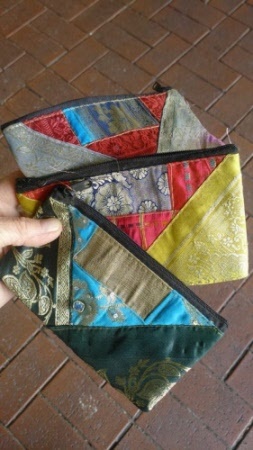 Great purses, made from brocade fabric and come with a full length zipper. 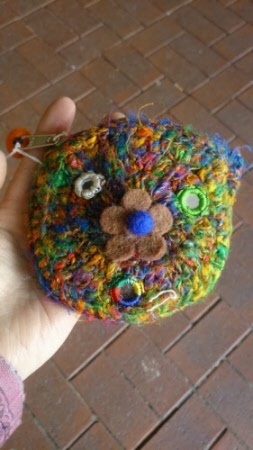 Hand knitted recycled silk purse with mirrors on front. Great gift idea for the special person in your life. 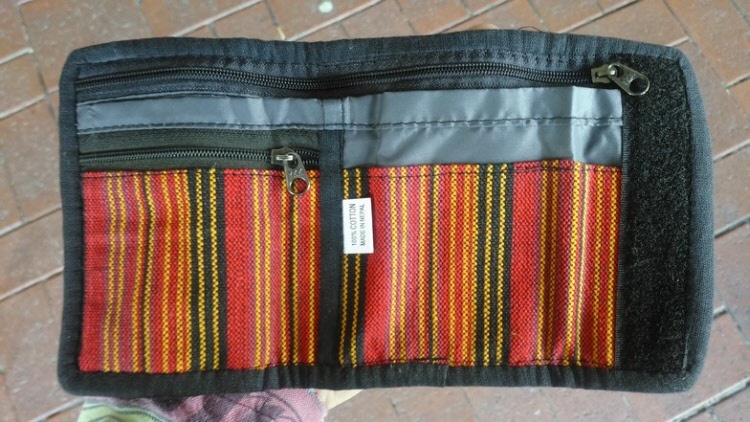 Has zipper for security and is lined inside. Recycled silk purse has full length zipper for extra security, and cotton lining inside. Made from cotton in Nepal, this wallet has plenty of storage space inside for your credit cards and cash. 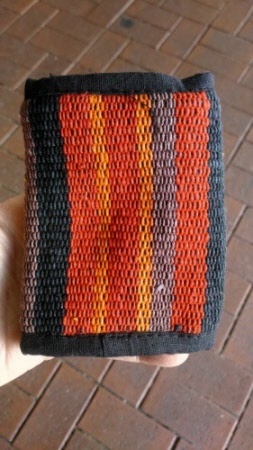 Has velcro to keep closed and zippers to keep your cash and cards secure inside, separate sections.